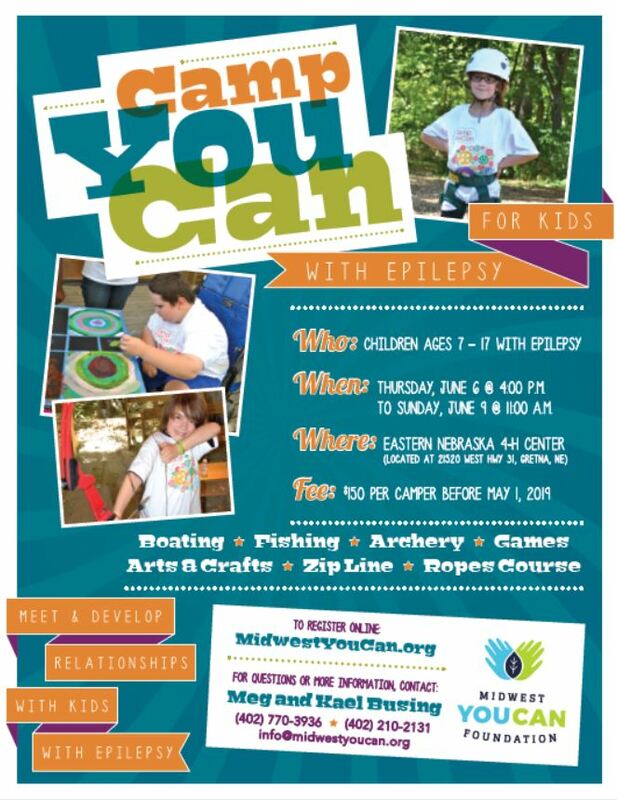 The Epilepsy Foundation – Quad Cities is once again very pleased to offer this opportunity for youth and teens living with epilepsy in our region. Registration is now open and closes April 26, 2019. For more information and to apply, check out the camPossible website. If you have any questions about camPossible! or the application process, please don’t hesitate to contact the Epilepsy Foundation – Quad Cities office at anelson@efncil.org or efqc@efncil.org. Thank you! 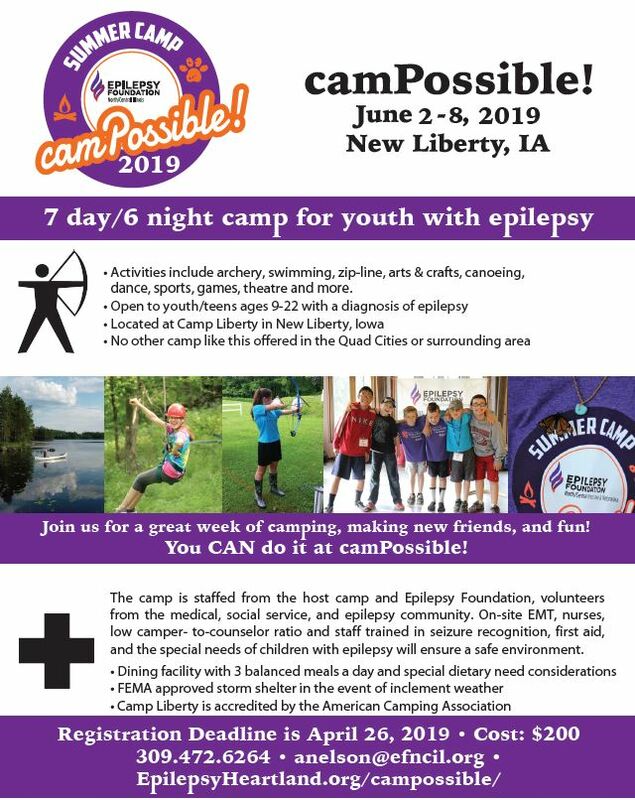 The Epilepsy Foundation’s Iowa office has funding available for Iowa youth/teens with a diagnosis of epilepsy to attend an epilepsy camp of their choice. Available funding is equal to the cost of the camp up to a maximum of $200. To apply for this funding, please fill out this application and the Epilepsy Foundation’s Camp Scholarship Committee will review it and advise you if your child is a recipient of a camp scholarship. The actual funding will be dependent on showing proof of acceptance to the epilepsy camp.